Professor Ram Gopal, a former Vice- Chancellor of M.D. University, Rohtak, and formerly Kalidasa Professor of Sanskrit and Head of the Department of Kalidasa Chair, Panjab University, Chandigarh, is and eminent Sanskrit scholar of international repute. He is an acknowledged authority on the Vedic language, literature and culture. His outstanding and original research works which include India of Vedic Kalpa-Sutras, Vaidika Vyakarana (in two volumes), Vaidika-Vydkhya-Vivechana, Vedartha-Vimarsa, The History and Principles of Vedic Interpretation, K6Iid6sa: His Art and Culture, The Vedic f Language and Exegesis have been highly appreciated by the renowned scholars of Sanskrit and Indology all A over the world. In recognition of his outstanding contributions to the realm of Sanskrit studies he was awarded the Independence Day Award, Certificate of Honour in Sanskrit, by the President A of India in l97l. And the same year he was honoured by the Haryana Government also with the State Literary Award in Sanskrit and a Felicitation Volume. The Ministry of Education and Culture, Government of India, awarded S him a Literary Prize of Rs. l0,000 in l98l in appreciation of his reputed research work Vaidika Vyakarana (in two Volumes). He was honoured by Masharshi Sandipani Rashtriya Veda-Vidya Pratishthana Ujjain with a Citation and a Cash Award in 2003. He has chaired several seminars, symposia and conferences connected with Vedic studies. He was the President of the Vedic Section of the All India Oriental Conference held in l966. The Second Volume completes the interpretation and translation of Mandalas I and 11, as the First Volume covers only 1-121 hymns of Mandala 1. As regards the characteristic features of these two Mandalas, it may be pointed out that Mandala 1 is the longest Mandala of the RV containing more than two thousand verses (constituting nearly one fifth of the RV. ), whereas Mandala X which equals Mandala 1 in respect of the number of hymns (191) contains 1754 verses. Moreover, the language of Mandala I is more archaic than that of Mandala X and contains a fairly large number of rare and obscure words which do not occur elsewhere in the entire rang of Vedic literature. The Rsis of Mandala I do not belong to any single family, whereas the Rsis of Mandala 11 belong to Grtsamada family. Mandala I1 is the shortest Mandala of the RV., containing 43 hymns. 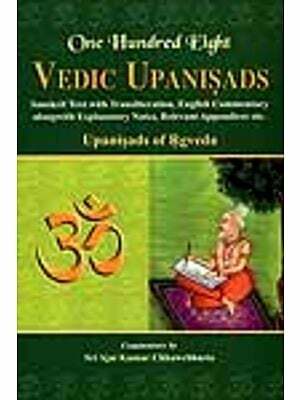 As discussed by us in our earlier work "The History and Principles of Vedic 1nterpretation""(pp.39-59), certain Rgvedic hymns have been interpreted by the ancient Indian Bhasyakaras and by most of the modern scholars in accordance with the legends connected with them in the later Vedic and post Vedic works. One such hymn (I.179)) figures in the present Volume. According to the Brhad, Sarva... And Nitimanjari this hymn is a dialogue between the sage Agastya and his wile Lopamudra. So it has been interpreted accordingly by the Bhasyakaras and most of the modern scholars. But, as observed by us in our earlier work (op.cit. p.59), several examples discussed by us in that work clearly show that since very ancient times - the legends relating to the Vedic Mantras have not been taken in their literal sense by several Vedic authorities who V have endeavoured to explain their allegorical meaning. In this Volume we have also not followed the legend in its literal sense and have endeavoured to find out the metaphorical and etymological meanings of the key—words of this hymn. According to our interpretation there is no dialogue between the sage Agastya and his wire Lopamudra in this hymn which in tact poetically and l cryptically describes the Earth's prayer for rain and the rain god's (Parjanya's) response to it. The ritual application of certain Rgvedic Mantras in the later ritualistic texts has led most of the ancient indian commentators and some modern scholars to put ritualistic interpretation on such verses and hymns, as discussed by us in our above—mentioned work (op.cit. pp.22—37). A telling example of ritualistic misinterpretation is found in the case of hymns l62 and 163 of" Mandala l, which magnify Asva. As the verses of these hymns are found incorporated in the Samhitas of the Yajurveda and are also cited in the ritualistic texts for the purpose of their recitation at the performance of the Asvamedha sacrifice the ancient Bhasyakaras and most of the modern scholars interpret Asva of these hymns as the sacrificial horse to be l immolated at the Asvamedha sacrifice. However, several modern scholars have pointed out the peculiar features (as noted in our Exegetical Notes) which distinguish the subject— matter of these hymns from the Asvamedha sacrifice described in the ritualistic texts. Moreover, if these two hymns are minutely examined, keeping in view the tenor of Rgvedic thought and its metaphorical style it will be clear that there is neither the description of any animal rite nor the eulogy of a sacrificial victim in these hymns. In fact these hymns pose a riddle which can be solved by determining the metaphorical 4si.’ meaning of the obscure verses in accordance with the Vedic usage. There is ample evidence in these hymns to show that Asva eulogised therein is not an animal but some important natural phenomenon. For instance, the animal Asva has got no horns, whereas the horns of the enigmatic Asva are alluded to in I.163, 9.11. There are several instances of this kind discussed by us in the interpretation of these hymns.